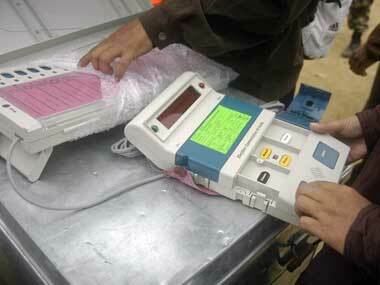 The Electronic Voting Machines or EVMs are used in the general and Assembly elections in India. EVMs have replaced paper ballots in local, state and parliamentary (Lok Sabha) elections. In 2012, after rulings of Delhi High Court, Supreme Court and demands from various political parties, the Election Commission of India (ECI) decided to introduce EVMs with voter-verified paper audit trail (VVPAT) system. The VVPAT system was introduced in 8 of 543 parliamentary constituencies as a pilot project in the 2014 Lok Sabha election. They are now used in every Assembly and General Election in India. On 9 April 2019, the apex court ordered ECI to increase the VVPAT slips vote count in five randomly selected EVMs in each assembly segment of a parliamentary constituency, which means Election Commission of India has to count VVPAT slips of 20,625 EVMs in the Lok Sabha election 2019. How were EVMs introduced in Indian elections? EVMs were commissioned in 1989 by Election Commission of India in collaboration with Bharat Electronics Limited (BEL) and Electronics Corporation of India Limited (ECIL). The industrial designers of the EVMs were faculty members at the Industrial Design Centre, IIT Bombay. EVMs were first used in 1982 in the by-election to North Paravur Assembly Constituency in Kerala for a limited number of polling stations. Thereafter, they were first used on an experimental basis in selected constituencies of Rajasthan, Madhya Pradesh and Delhi. Later, EVMs were used first time in the general election (entire state) to the assembly of Goa in 1999. And in 2003, all by-elections and state elections were held using EVMs, encouraged by this, the ECI decided to use only EVMs for Lok Sabha election in 2004. An EVM consists of two units, a control unit, and the balloting unit. The two units are joined by a five-meter cable. Balloting unit facilitates voting by a voter via labelled buttons while the control unit controls the ballot units, stores voting counts and displays the results on 7 segment LED displays. The controller used in EVMs has its operating program etched permanently in silicon at the time of manufacturing by the manufacturer. No one (including the manufacturer) can change the programme once the controller is manufactured. EVMs are powered by an ordinary 6-volt alkaline battery manufactured by BEL, Bangalore and ECIL, Hyderabad. This design enables the use of EVMs throughout the country without interruptions as several parts of India do not have the power supply and/or erratic power supply. 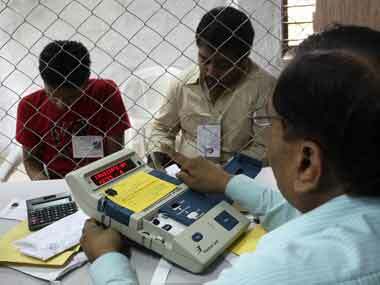 An EVM can record a maximum of 3,840 votes and can cater to a maximum of 64 candidates. There is provision for 16 candidates in a single balloting unit and up to a maximum of 4 units can be connected in parallel. The conventional ballot paper/box method of polling is used if the number of candidates exceeds 64. How does the EVM function? It is not possible to vote more than once by pressing the button again and again. As soon as a particular button on the balloting unit is pressed, the vote is recorded for that particular candidate and the machine gets locked. Even if one presses that button further or any other button, no further vote will be recorded. This way the EVMs ensure the principle of "one person, one vote". The control unit is kept with the presiding officer or a polling officer and the balloting unit is placed inside the voting compartment. The balloting unit presents the voter with blue buttons (momentary switch) horizontally labelled with corresponding party symbol and candidate names. The Control Unit, on the other hand, provides the officer-in-charge with a "ballot" marked button to proceed to the next voter, instead of issuing a ballot paper to them. This activates the ballot unit for a single vote from the next voter in the queue. The voter has to cast his vote by once pressing the blue button on the balloting unit against the candidate and symbol of his choice. As soon as the last voter has voted, the polling officer-in-charge of the control unit presses the 'close' button. Thereafter, the EVM will not accept any votes. Further, after the close of the poll, the balloting unit is disconnected from the control unit and kept separately. Votes can be recorded only through the balloting unit. During the counting of votes, the results are displayed by pressing the 'result' button. There are two safeguards to prevent the 'result' button from being pressed before the counting of votes officially begins. (a) This button cannot be pressed till the 'close' button is pressed by the polling officer-in-charge at the end of the voting process in the polling booth. (b) This button is hidden and sealed; this can be broken only at the counting centre in the presence of the designated officers. For each national election, it is estimated that about 10,000 tonnes of the ballot paper is saved. EVMs are easier to transport compared to ballot boxes as they are lighter, more portable, and come with polypropylene carrying cases. 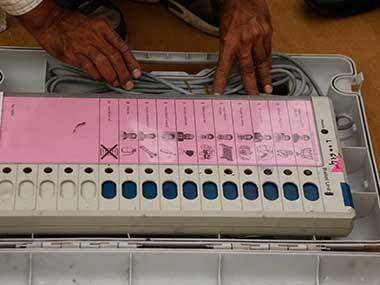 The shelf life of Indian EVMs is estimated at 15 years. The Election Commission of India points out that for tampering of EVMs, one needs physical access to EVMs, and pretty high tech skills are required. Given that EVMs are stored under strict security which can be monitored by candidates or their agents all the time, it is impossible to gain physical access to the machines. On 17 January 2012, the Delhi High Court in its ruling on a writ petition by Subramanian Swamy — challenging the use of EVMs in the present form — said that EVMs are not "tamper-proof". Further, it said that it is "difficult" to issue any directions to the ECI in this regard. However, the court added that the ECI should itself hold wider consultations with the executive, political parties and other stakeholders on the matter. In January, a US-based Indian hacker named Syed Shuja, seeking political asylum in the US claimed in a London press conference via Skype that EVMs are being compromised and that those used in the 2014 General Elections were rigged. Shuja claims that he worked with the Electronic Corporation of India and was part of the team which designed EVMs being used by the commission. 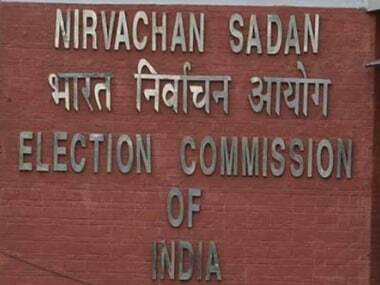 This claim, however, was rejected by the ECI, describing the allegation as a 'motivated slugfest', reiterating that EVMs are manufactured in India under very strict supervisory and security conditions and there are "rigorous Standard Operating Procedures meticulously observed at all stages under the supervision of a committee of eminent technical experts constituted way back in 2010". ECI on 10 March announced that EVMs and postal ballots being used in the upcoming election would carry a photograph of all candidates to help voters identify the political leaders in the fray. The commission said the provision for printing the candidate photographs will help avoid any confusion which may arise when candidates with similar names contest from the same constituency. The photograph will be printed on the EVM ballot units as well as on postal ballot papers, the ECI said. The ECI also said India had gone to polls with photo electoral rolls for the first time in 2009. 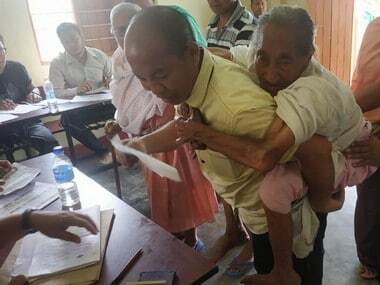 In that year, Assam, Jammu and Kashmir and Nagaland did not have photo electoral rolls, while elector photo identity cards were not distributed to electors in Assam and Nagaland. Now, all states and union territories have photo electoral rolls and photographs of 99.72 pecent electors are already printed in the electoral rolls. Besides, 99.36 percent electors have been given EPIC, PTI reported. The percentage of electors with EPIC and photographs in electoral rolls is likely to increase further before the elections with several states and UTs having already reported 100 percent coverage, ECI said.